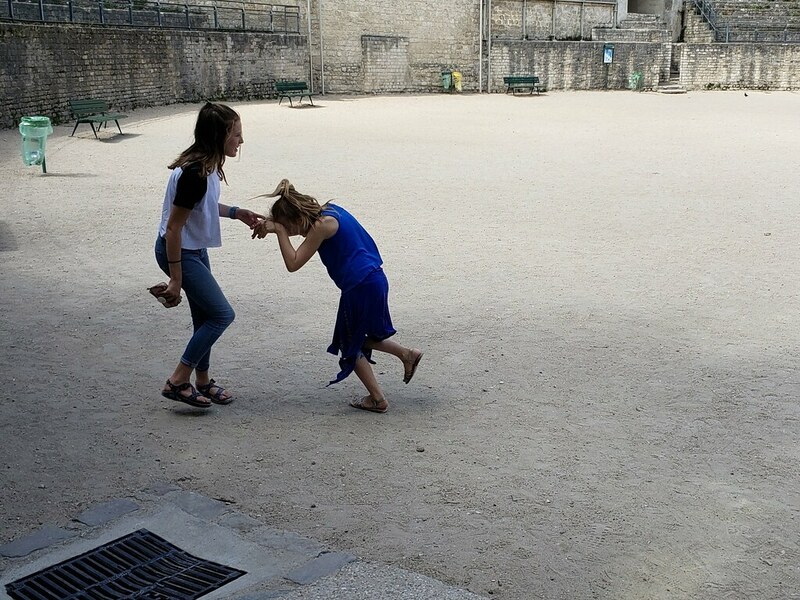 On the 5th day of my fortnight of solo parenting, Bea, Arabelle, and I went all over Paris. 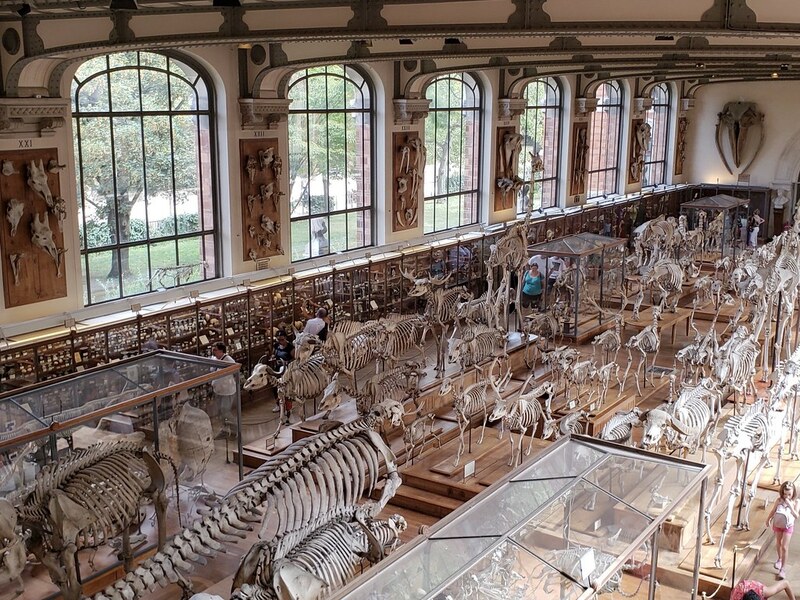 Before lunch we took the metro to the Muséum national d'Histoire naturelle and toured its Gallery of Paleontology and Comparative Anatomy. 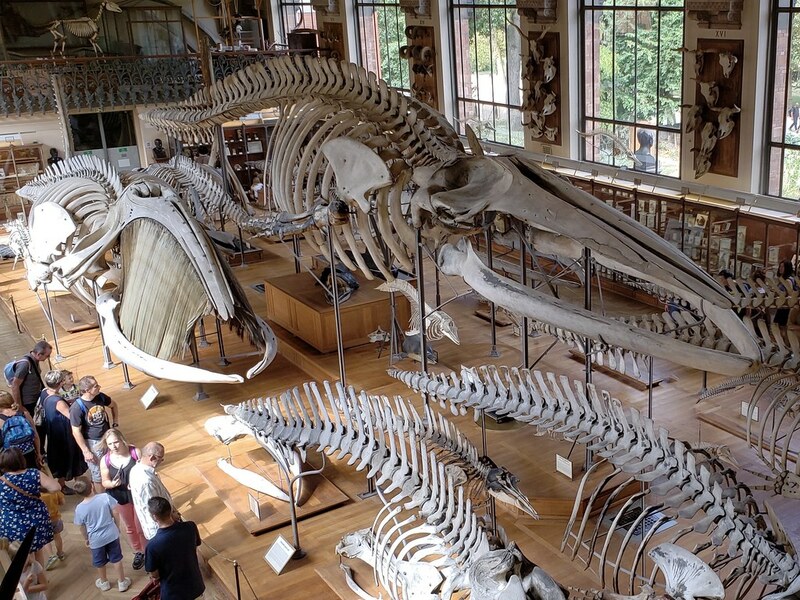 There are bones, many bones, and organs in jars, including dissected brains of all kinds. It's enlightening and grotesque, very cool. After, we found lunch, and then walked back to our hotel. I had planned the route very carefully. On every other block I would announce "Hey, look at this: the old amphitheater of Roman Lutetia (Arènes de Lutèce)!" or "An Amorino gelato shop, what are the odds of that?" or "What a surprise: the Pantheon!" After some relaxing and packing we took the metro to Montmartre and climbed up to the top of the butte to see the touristic mayhem around Sacré Coeur. 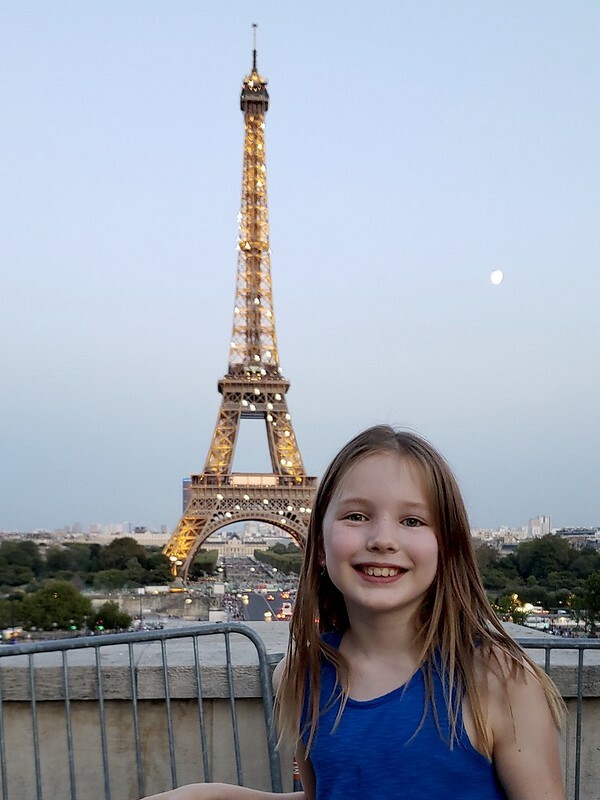 After some negotiation we had a nice dinner away from the busy square, did some souvenir shopping, and then hustled back to the metro and to the Trocadero to see the Eiffel Tower at sunset, Arabelle's goal for the day, take many selfies and congratulate each other on "doing Paris" in one day. We watched the tower sparkle in the twilight and then we took the no. 63 bus back to the Latin Quarter. This is a great bus route, studded with so many landmarks, and my new favorite way to get from the 16th arrondisement to the 5th.